Fashion Unplug welcomes a new contributor to this blog. He will target male fashion, celebrity trends, quirky inventions and much more. I'm totally in love with these ice cubes!! Who says dentures are for grandparents? These set of ice tray is suitable for any party (especially Halloween). 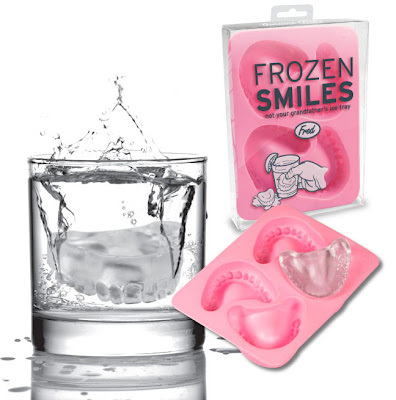 All you have to do freeze up a batch of Frozen Smiles and drop it into any glass as a gag. Now you don't have to smile at your guest , all you have to do drop it in their drinks.